The Pyle PYD1964B with Bluetooth takes the professional DJ mixer to new heights with a groundbreaking combination of digital, Bluetooth and analog technologies. Bluetooth allows you to wirelessly transmit your entire MP3 library right into your mix from devices like your iPad, iPhone, Android Smart Phone or Tablet. Rock-solid construction, superb audio fidelity, high quality parts, and of course, reliability are the core ingredients of the design. 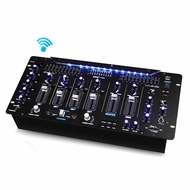 Unique features provide Mobile and Club DJs tremendous flexibility and intuitive control. 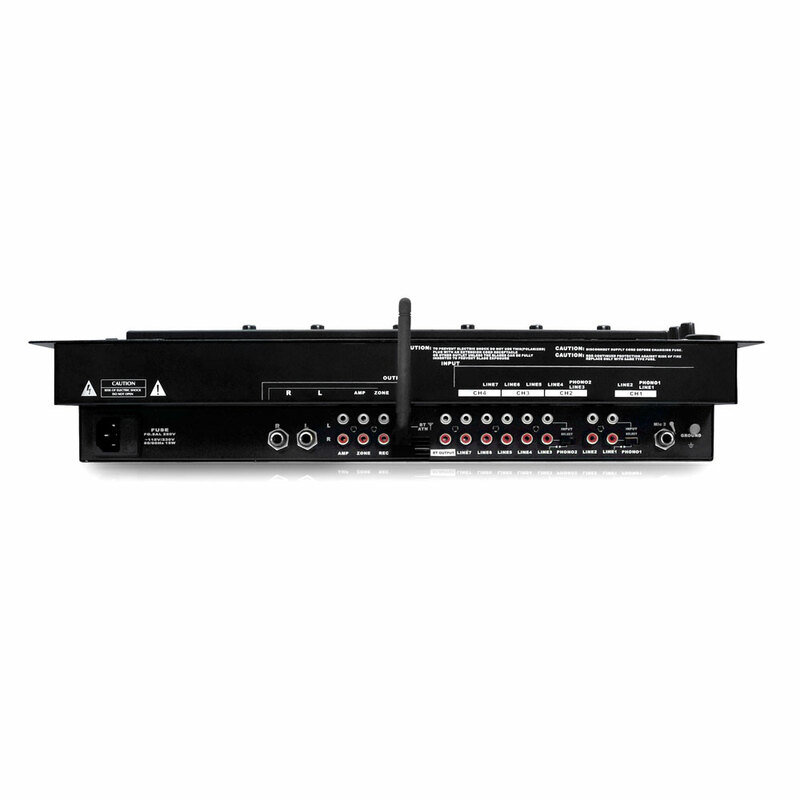 2 phono, 8 line level and 2 microphone input signals with Bluetooth give you the freedom to move any source to any channel or even the same source to multiple channels for quick and easy remixing. Take full sound control with 10 Band graphic equalizer, echo, delay, repeat and added digital sound effects. Manipulate your voice with high, mid and bass mic adjustments, then use the KILL switch to cancel specific frequencies of your two microphone inputs for added special voice effects. Upgrade your system with the digital technology to take your DJ skills to the next level.